Prosecutors said they had shelved all 16 felony charges against “Empire” star Jussie Smollett in exchange for an agreement that he carry out community service and forfeit a $10,000 bond payment. But Smollett’s lawyers claimed there was no such agreement, and that the actor was the victim of a rush to judgment. “There is no deal. 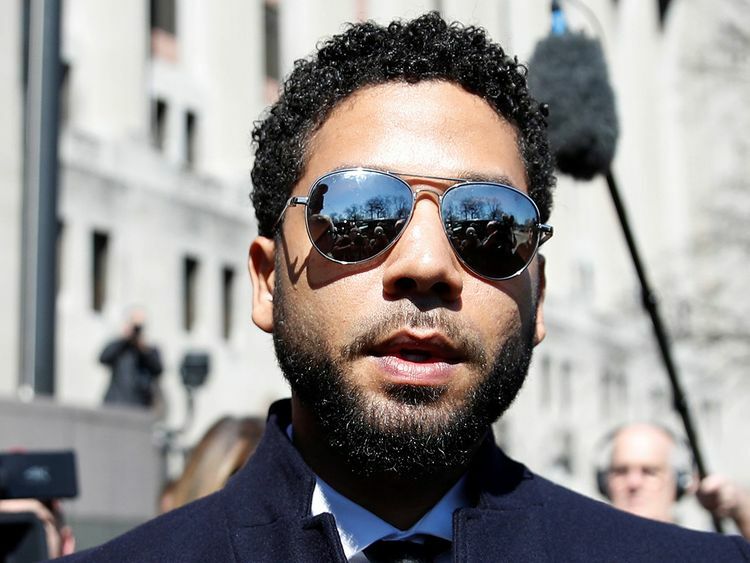 The state dismissed the charges,” attorney Patricia Holmes said as the actor celebrated with family, whose claim that Smollett had been vindicated was flatly rejected by the police. Smollett maintained his innocence in the face of a damning public account from authorities’ of their case against him. They accused him of sending himself a threatening letter and hiring two acquaintances to stage the attack, complete with homophobic and racial slurs, while invoking Donald Trump’s “Make America Great Again” slogan. Chicago’s police chief and mayor, both visibly angry, denounced the decision to drop the case and countered Smollett’s insistence of his innocence. “This is a whitewash of justice,” Mayor Rahm Emanuel, a former congressman and White House chief-of-staff, told a hastily-arranged news conference. “Mr. Smollett is still saying that he is innocent, still running down the Chicago Police Department. How dare (he)?” the mayor added. The prosecutor’s office offered little explanation at first for suddenly reversing course before finally characterized its decision as a routine one carried out in thousands of cases. “This is not a new or unusual practice. An alternative disposition does not mean that there were any problems or infirmities with the case or the evidence,” the Cook County State Attorney’s office said in a statement. Authorities have said there is enough evidence to back up their case, including surveillance camera footage, text messages, phone records, and a cashed check Smollett wrote to brothers Ola and Abel Osundairo, both of whom worked on “Empire,” to carry out the alleged plan. “I think this city is still owed an apology,” Chicago police chief Eddie Johnson said Tuesday. But the star was written out of the last two episodes of the most recent season of “Empire” - which is set in New York but filmed in Chicago - amid uproar over the accusations against him. His family described him as “an innocent man whose name and character has been unjustly smeared” in a statement published by the ABC News. Fox producers said Tuesday they were “gratified that all charges against him have been dismissed” but would not comment on whether he would return to the show.